Found another place with what appear to be high quality trailers for a good price. I'd have to go pick it up, but that would only cost me just over $100. I called them about trailer weight and fender height...waiting to hear back. I am also in the market for a trailer as neither of my cars are street legal anymore. You can get nice used ones for 1200-1500 around here. I also may split the costs with my dad. 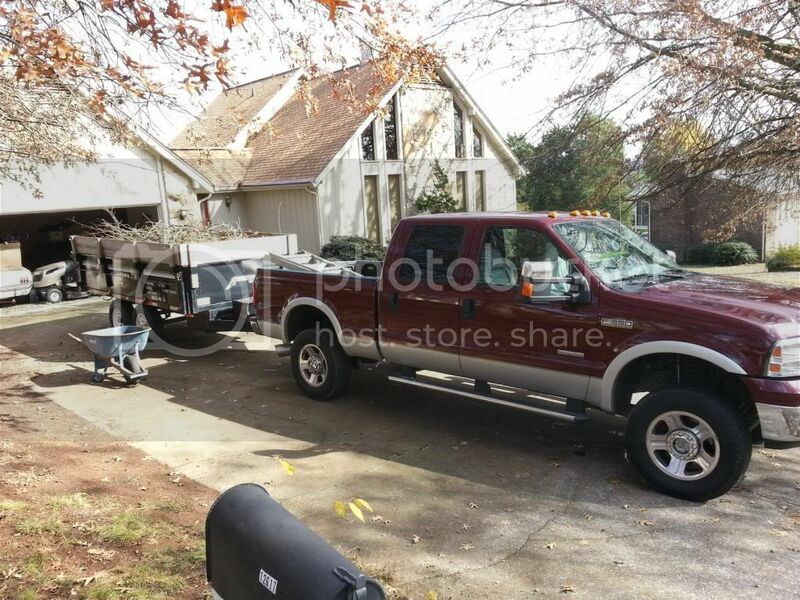 Haul a few scrap cars to the scrap yard and half of the trailer is paid off already. If you get a solid deck one you can use it for hauling dirt and crap too. The stuff I've seen on craigslist & etc is junk. There are some nice ones for cheap on ebay, but then picking them up is expensive in fuel. And I am thinking the same thing. Full deck is a little bit of a weight penalty, but the versatility makes it worth it. And the Econotrailer place doesn't do a wood deck car hauler. So I'd have to spend the extra coin on steel deck or go with Appalachian. I put up a video of the truck that gives you a pretty good idea of the new exhaust with the Magnaflow. The pallet of shingles was 2600lbs in the bed, and the first load of demo to the dump was 8400lbs including the trailer weight...13400 gross with truck. 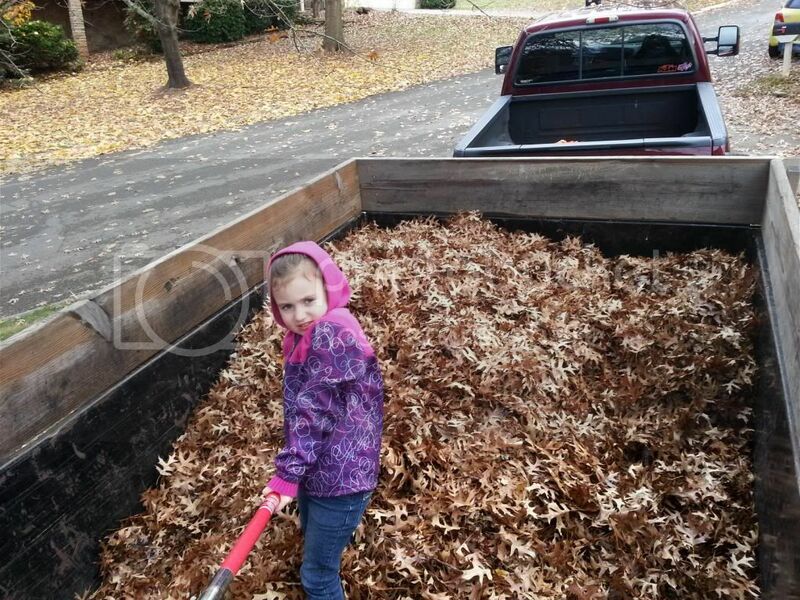 Combined weight with 1020# of leaves, trailer and my F350 was 13,700#. Yeah, somewhere around 7600-7700lbs... and still gets ~20mpg @ 65-68mph. Well now your comparing diesel vs a gasoline truck... MPG is not a fair comparison for him. There is something absolutely awesome about diesel power - We had a 2000 GMC Sierra 1500 4x4 before this and I thought I loved that truck... lol - Then we bought the diesel - It has cost an absolute fortune in maintenance, but it is all worth it when you hook up 10,000lbs and don't even know it's back there.